CAP chaplaincy is a unique and exciting avenue of ministry that provides a reach into your local community you could have in no other way. The influence of a CAP chaplain can yield tremendous fruit in the lives of our cadets, senior members, and those whose lives we touch in emergency services ministry. A CAP chaplain must become a CAP Senior Member, which includes completing a fingerprint card, background check, and payment of national and local dues. CAP Regulation 265-1 states that a chaplain must be a fully ordained or qualified priest, rabbi, or minister of religion, and receive an ecclesiastical endorsement from a faith group approved by the Armed Forces Chaplains Board (AFCB) prior to appointment as a chaplain. Chaplains must have a Bachelor's degree and have completed a 72-semester hour (108 quarter hour) graduate degree program in the field of theological or related studies from a qualifying accredited educational institution. A waiver may be granted to those who do not meet the graduate study requirement providing they meet all other requirements and present proof (resume) of at least five years of full time or equivalent ministry experience as a pastor, rabbi, or similar role within their denomination. There is no age restriction for CAP Chaplaincy. If you have considered military chaplaincy but found that you are too old then CAP is an ideal fit for extending your ministry. 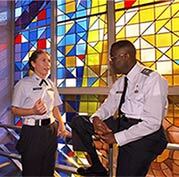 CAP chaplaincy provides a wide array of interesting and fruitful ministry opportunities. Contact us today if you are interested in exploring CAP chaplaincy and someone will be in contact with you. 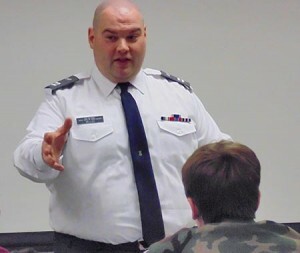 Character Development is a required part of the CAP Cadet Program, and cadets must participate in Character Development sessions in order to promote. 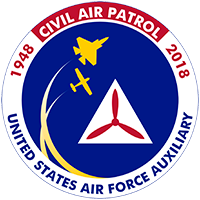 Character Development Instructors are a part of the CAP Chaplain Corps and provide this important training to the cadets within their local unit. Your Wing Chaplain will the conduct a personal or phone interview with the candidate. Following the Wing Commander’s approval, the appointment is made by National Headquarters. Character Development Instructors provide an important function in the lives of our cadets as they develop their moral and ethical attitudes about life. If you are interested in becoming a Character Development Instructor, contact Kenya Bogans at National Headquarters to get an application started.